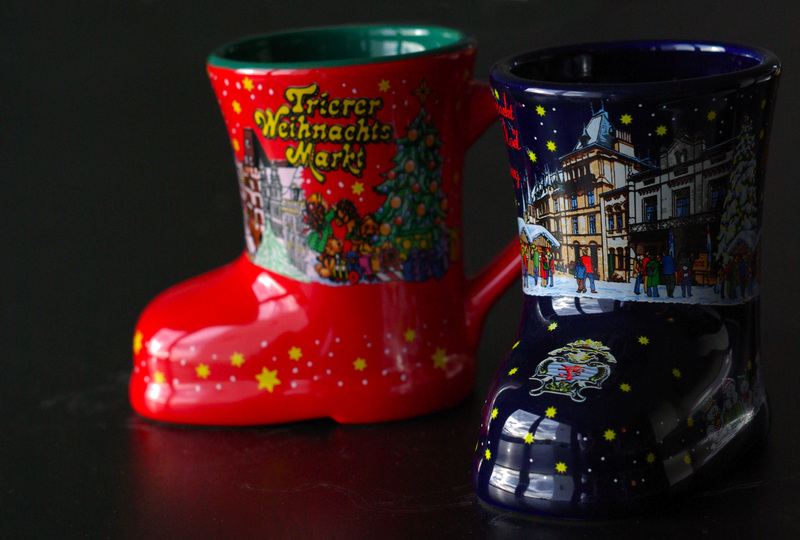 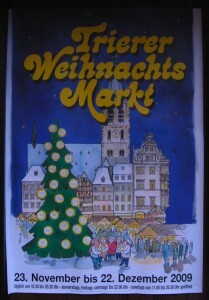 We searched for a Christmas Market all last weekend, without any luck. 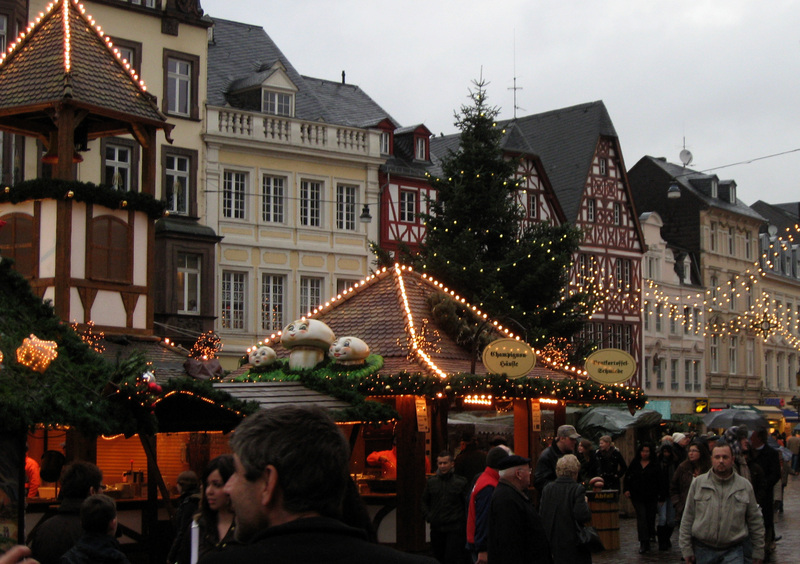 On Tuesday, we took a short drive to Germany to see Trier, purportedly Germany’s oldest city. 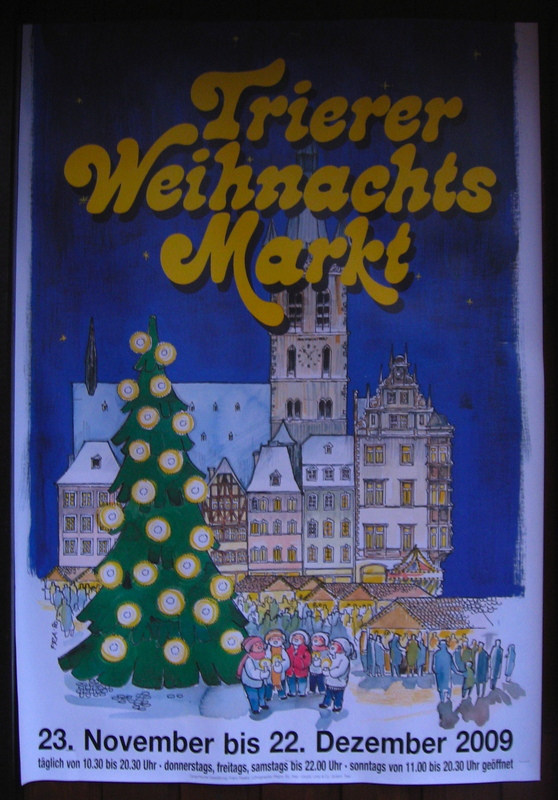 We were delighted to find their Christmas Market underway! 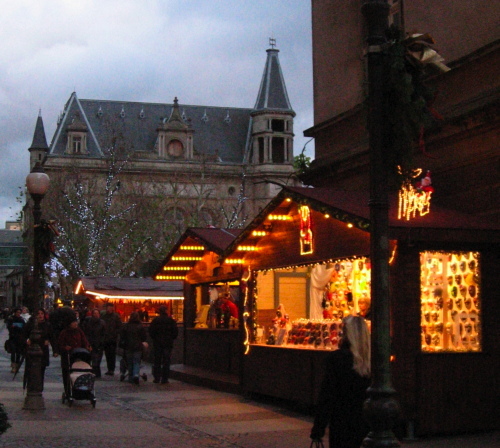 By Friday, Luxembourg City’s market was underway. It’s not as large or as well-decorated as Trier’s market, but we look forward to returning regularly. Please note the lovely crest on the toe of the Luxembourgish boot. 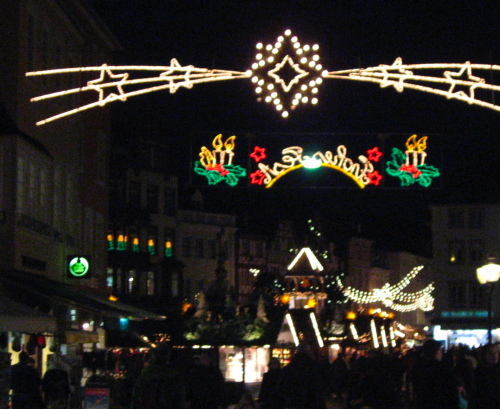 You can look forward to more photos in the near future, and maybe some deep thoughts about the mix of secular and religious during the European holiday season. 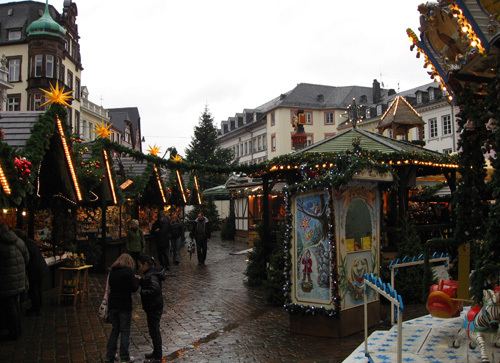 In the meantime, we present to you a brief video of the gigantic Christmas carousel pyramid in Trier.